Pomeranian dogs and fish oil. Why you need to give fish oil to Pomeranians? Fish oil is a very popular supplement that people take if they’re conscious about their health. There are a lot of proven benefits and research has revealed that many of the benefits to people can also be beneficial for dogs. 1 What is Fish Oil ? 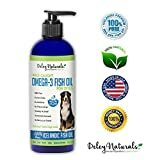 6 How Do I Give My Dog Fish Oil? What is Fish Oil ? Fish oil is a derivative of marine animals and is rich in omega-3 fatty acids. Animals can’t make these acids on their own so it must be included in their diet. They often get called “essential fatty acids. Fish that have a LOT of the omega-3 fatty acids and are the most common source of the fish oil supplement include: sardines, anchovies, bluefish, mackerel, sturgeon, salmon, tuna, mullet, trout and herring. The fatty acids that have the best health benefits are eicosapentaenoic acid (EPA) and docosaxaenoic acid (DHA) and these acids are listed on labels of the various fish oil supplements. Based on certain studies, vets recommend fish oil for typical ailments that dogs may face. Studies have shown that dogs with arthritis can be given omega-3 fatty acids to reduce inflammation and enable the dogs to move more freely without undue pain or discomfort. Fish oil supplements are a large part of the prescription diets that dogs are given if they have arthritis. Pomeranians suffering from Coat Loss Problems can benefit greatly from the addition of fish oil supplements for dogs. Inflammatory skin problems and skin allergies can be treated with fish oil. One study on 20 dogs who had itchy skin revealed that the dogs who were given placebos didn’t improve as much as those with itchy skin. Those dogs who had fish oil had a major improvement with less itchiness of their skin, lowered amounts of self-trauma and the hair on their coats also improved enormously. A different study that compared dogs at different stages of the skin allergies revealed that those in the earliest stages of this condition improved far more than the dogs who were in more advanced stages. Cognitive dysfunction is a common problem faced by older dogs and bears a great resemblance to people with Alzheimer’s disease and dementia. If a DHA supplement is provided to dogs, it helps improve cognitive dysfunction in dogs and slows down the progress of Alzheimer’s and dementia. A bigger test on dogs with behavioural problems of all types including: poor sleep, disorientation, doing toilet business in the house and changes to activity levels. This test ran for 60 days, and they ate a diet rich in DHA-supplemented foods. Every behavioural problem improved, some more than others but all problems reduced significantly. Pomeranian heart disease can cause a dog too lose a lot of weight, and his anticipated life expectancy will be reduced. Some Pomeranians with these issues were given fish oil supplements and their life expectancy was better than the dogs who didn’t have the supplement in their diet. Dogs who have glomerular disease, a kidney disorder that causes excess protein to be excreted via the dog’s urine. This disease is often associated with kidney failure. If the dog is fed fish oil supplements, the rate of kidney damage decreases. Fish oil also gives protection for the kidneys against any acute kidney injuries. Fish oil is recommended if your dog has any form of kidney disease. Buyer beware. Over the counter purchases of fish oil may give you trouble because the supplements aren’t always the same quality. 51 best-selling fish oil supplements were tested in the U.S. and 21 had variances of concentrations of EPA and DHA by as much as 10% compared to what the label claims. It’s vital that you know what dose of fish oil to give your dog. Too much may cause: diarrhoea, delayed healing of wounds, weight gain, abnormalities in blood clotting, a deficiency of vitamin E and alterations to the dog’s immune system. Last but not least, fish oil may interact with other medicines, especially anti-inflammatory, non-steroidal medicines. If you’re considering feeding your Pomeranian any type of supplement, talk to your vet first. Does my Pom have a health problem that fish oil can help fix? What dose is best? Which fish oil brand can you recommend? 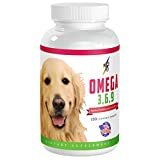 Is fish oil supplements compatible with the other dog medications already given? Do you give your dog a fish oil supplement and, if so, what is your reason for doing so? I have used both fish oil capsules and supplementing my Pomeranian’s diet with tinned salmon and have noticed immediate health improvements. Pomeranian coats improve dramatically in a short period of time with the addition of a tablespoon of tinned salmon to a Pomeranian’s diet 3 or 4 times weekly. How Do I Give My Dog Fish Oil? While capsules are a convenient way to supplement. If you decide to use fish oil supplements for dogs, I recommend squirting the fish oil on dog food. Another easy method is purchase fish oil chews for your Pom. I prefer to purchase small cans of salmon from the supermarket and add about tablespoon to the dog’s food daily. Is too much fish oil bad for your Pomeranian? There are so always adhere to the recommended dosage of fish oil. How much fish oil to give a dog? Stick to the suggested fish oil mg for dogs. Can dogs be allergic to fish oil? Not that I am aware of, again if in doubt check with your Vet. Can fish oil cause diarrhea in dogs? Yes if too much is fed to keep to the recommended dosage of fish oil for dogs. Conclusion: With all the above benefits to Fish oil for Pomeranians, Pom owners should consider feeding Fish oil to their Pomeranian. Copyright Pomeranian.org. All Rights Reserved. Denise Leo, The Pomeranian Handbook. Pomeranian breed authority, Denise Leo, of Dochlaggie fame. Promoting and improving the Pomeranian Dog since 1975. Breeder and Exhibitor of Best in Show winning Supreme, Grand Champion and Champions and is the breeder/exhibitor of close to 100 Champion Pomeranians. Pomeranian Authority website providing accurate information and facts about the Pomeranian dog. Breed authority, Denise Leo, of Dochlaggie fame. Breeder and Exhibitor of Best in Show winning Supreme, Grand Champion and Champions since 1975.
Who best to educate you on all the ins and outs of ensuring your Pom has the best quality lifestyle ? Is the Kennel Cough or Bordetella Vaccine Essential for Pomeranians? Pomeranian Dog Breed Information. Discover why this tiny dog with the big attitude is unique. 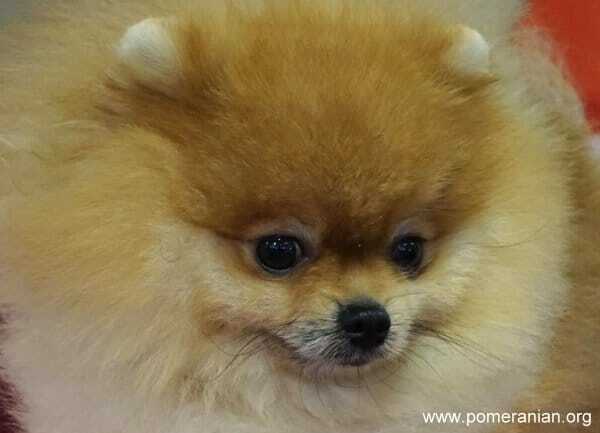 Pom Dog personality & Characteristics. Pomeranian Information and Facts. 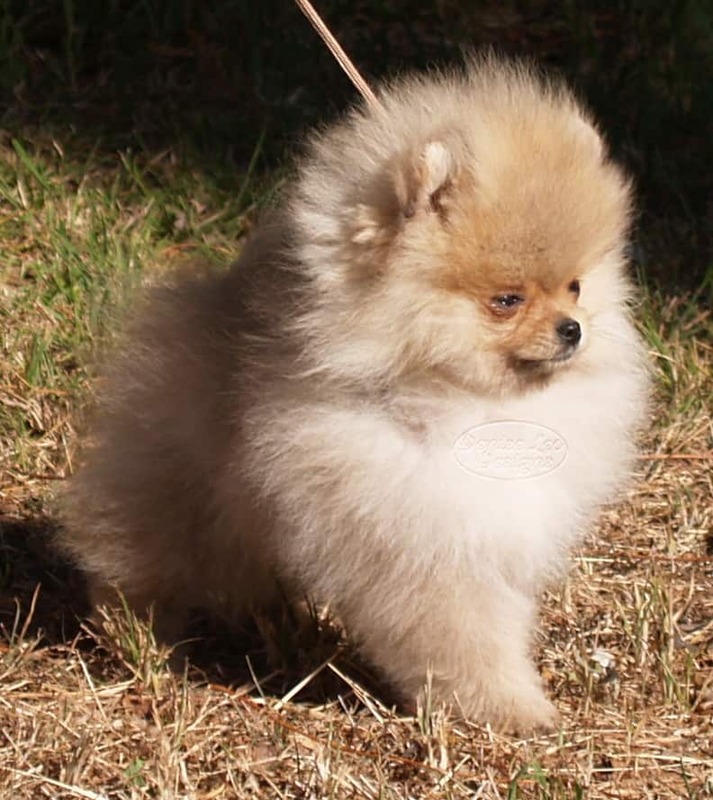 All about Pomeranians by breed expert Denise Leo of Dochlaggie fame. Pomeranian Headquarters and our eBooks provides you with answers to everything related to one of the cutest breeds of dogs in the world and will ensure you can give your Pomeranian that 100% care he so richly deserves. @2019 - pomeranian.org. All Rights Reserved.